As one of the hot tourist city in southern China, Guangzhou is a morden as well as cultural city where there are lots of interesting things to do during the Guangzhou tours. Guangzhou traditional repertoire – Cantonese Opera, known as “southern red beans”, performing flexible and delicate, smooth and varied vocals, melodic and harmonious, deeply loved the local people of Guangzhou. Guangzhou Opera House is a new landmark building in the central axis of Guangzhou, rated as one of the country’s top three theatres with National Centre for the Performing Arts and Shanghai Grand Theatre, prides itself on the highest-profile art palace across South China. It is designed by the architect Zaha Hadid, and there are many world top performers performing here. There are often some musical groups performing here, and also occasionally played Cantonese opera and drama performances and other exciting repertoire. It is Guangzhou’s first super-luxurious large studio, and its interior architectural decoration is also very luxurious. Address: No. 111, Yingbin Road, Panyu District, Guangzhou. It is one of Guangzhou’s historic theaters. 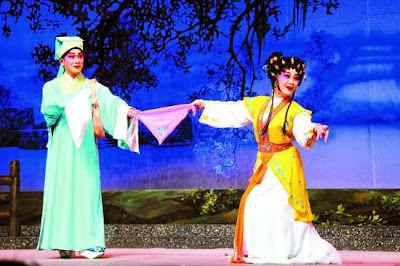 You can enjoy traditional Chinese opera, acrobatics and other performances, as well as the new drama, song and dance performances. The Pearl River has a total length of 2129km, watershed across Yunnan, Guizhou, Guangxi, Guangdong, Hunan, Jiangxi six provinces, including the East River, West River and North River and other tributaries, and converge at Guangzhousection, the surrounding scenery is very beautiful. There are many historic buildings along the Pearl River. 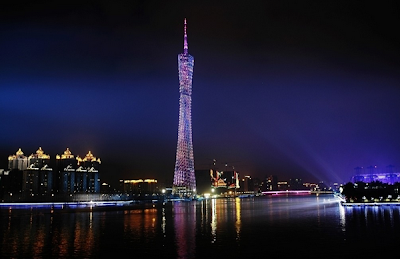 Taking a Pearl River Night Cruise tour can make you faster and fully understanding of Guangzhou Culture and history. 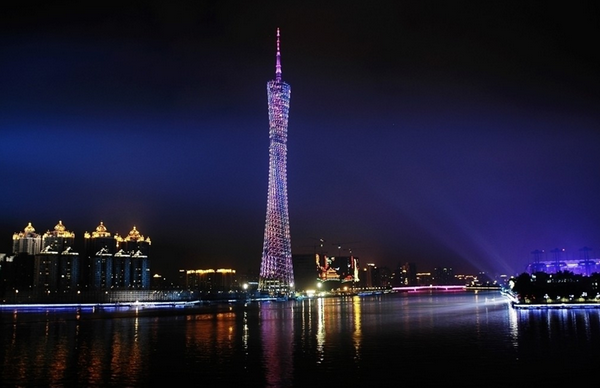 Pearl River Night Cruise is one of the major highlights of Guangzhou tours, and the scenic Pearl River is comparable to Hong Kong Victoria Harbor. For Guangzhou people, a really fantastic day would start from the nightlife, therefore clubbing becomes the main way of nightlife in Guangzhou. 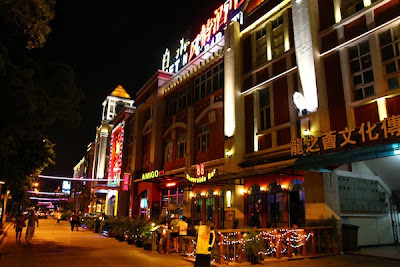 In Guangzhou, there are nearly 300 bars, three bar streets, including YanJiangLu Bar Street (Yuexiu District), Fangcun Bar Street (Liwan District), Central City Road Bar Street (Tianhe District), and each street has its own characteristics. In Guangzhou, vegetation is evergreen and flowers normally open all through the year, so it is also known as the “Flower City”. 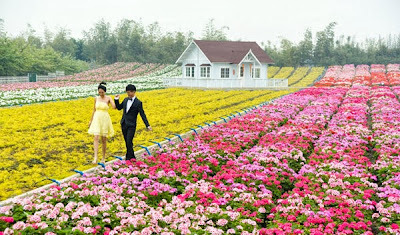 There is a long history for Guangzhou people to plant and admire the flowers. 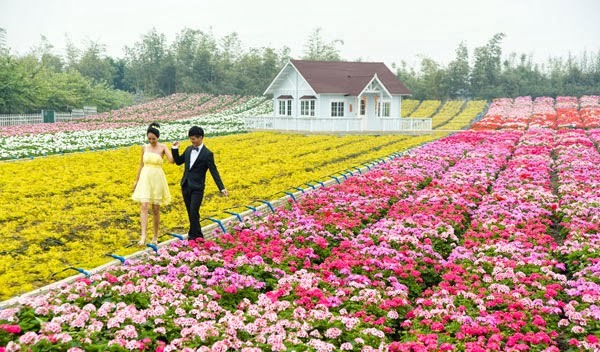 Now you can enjoy different flowers during different seasons in Guangzhou.